During the recent catastrophic wildfires, 90% of homes and buildings were first ignited by embers, not the actual fire. Embers are carried on winds ahead of a fire, eventually causing a fire to “spot” ahead of itself. Spotting can occur several miles ahead of the main fire! Once these embers land on or near your home, it’ll depend on the building materials and the landscaping (or lack thereof) around the structure how well your house will fare. 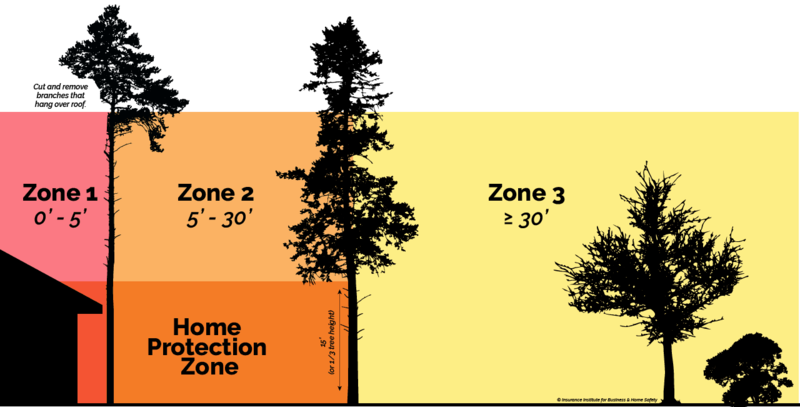 Your 100 ft of defensible space should be considered the minimum distance and can be divided into three sections: 0-5 ft from a structure with no vegetation at all, 5-30 ft with well-irrigated, sparse landscape, trees limbed up and finally the 30-100ft zone where you should take care to remove all ladder fuels. Retrofitting your home with a Class A fire-rated roof, replacing vent screens with 1/8th mesh screens or slatted screens, enclosing eaves, replacing single-pane windows with double pane and screened windows are well worth the investment. New research from Headwaters Economics and IBHS shows that building a wildfire-resistant new home or retrofitting portions of an existing home is only nominally more expensive – and in some cases less expensive – than choosing standard materials that are not wildfire resistant. 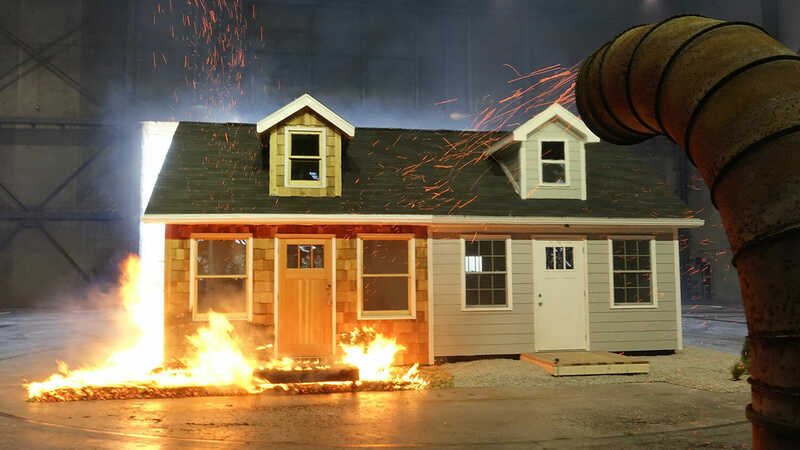 For a recent wildfire simulation at the Insurance Institute for Business & Home Safety (IBHS), a house was built and landscaped on one side as a wildfire-resistant structure, and on the other side with common materials used when wildfire resistance is not a consideration. This concludes Week 15 of 25, next Monday we’ll focus on evacuation routes.